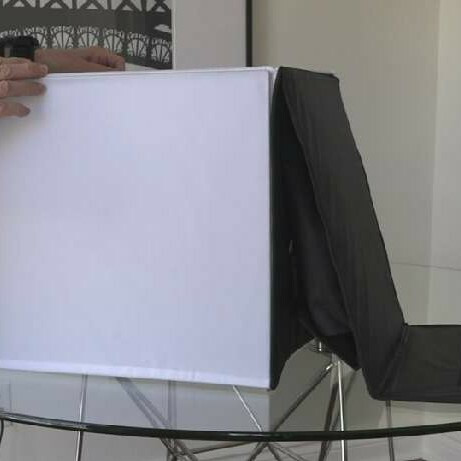 what looks like a briefcase, travels in carry-on and weighs only 6 pounds? believe it or not the answer is - a photo studio. 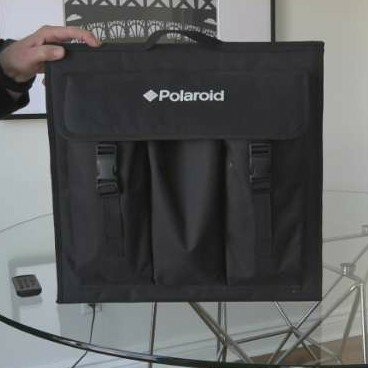 the polaroid photo studio kit comes in a case measuring 17 x 16 x 3.5" with an ingenious design feature - the case is the studio. 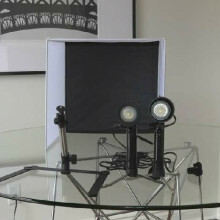 studio kit - light box - has 6 pieces. 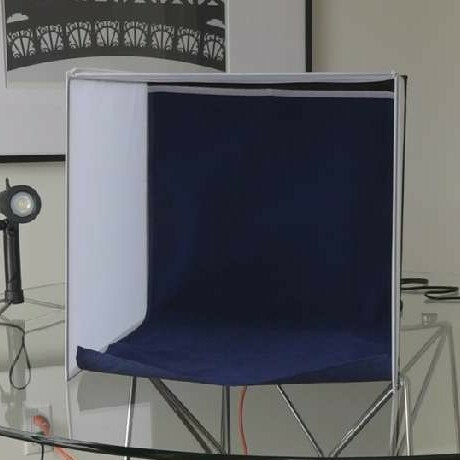 • 2x daylight led lights, 120 vac • 4x colored backdrops • 1x tripod stand with folding base • 1x nylon kit case • tent: 20 x 20" • great for ecommerce • sets up in 1 minute • only 6 lbs it goes like this. 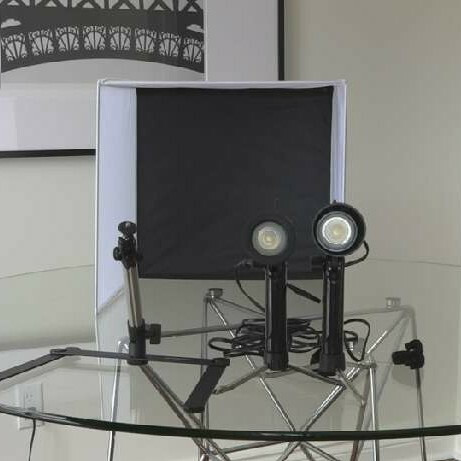 the outside of the case has 3 pockets containing two 20w daylight-balanced quartz flood lights with built-in 10" stands concealing nifty legs that pop out of the stand column. remove them and set them up - it takes seconds. 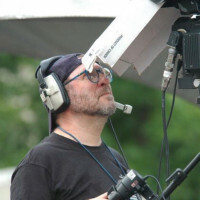 remove the camera base. it has a 10-17" range and is topped with a mini ball head with a 1/4"-20 camera mounting screw. you're now ready to open the portfolio-type case and lay it flat. 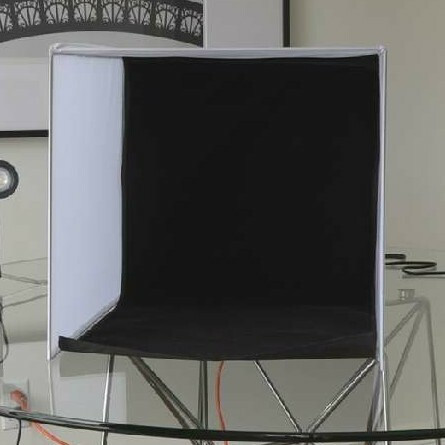 three captive 16 x 16" diffusion panels pop up from back of the case which now serves as your shooting base. 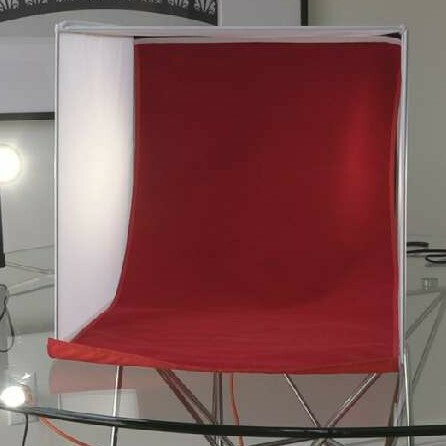 black, royal blue, red and white 16 x30" backdrops are included in the kit. 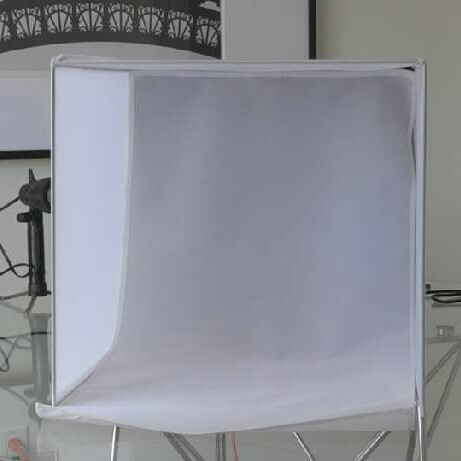 choose one, place the lights a few inches from the diffusion material and you're ready to shoot. 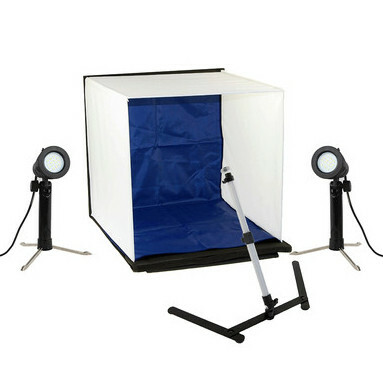 it literally takes a minute to set up or break down the photo studio, so you can be on your way to photograph another item while others are still fiddling with their equipment.